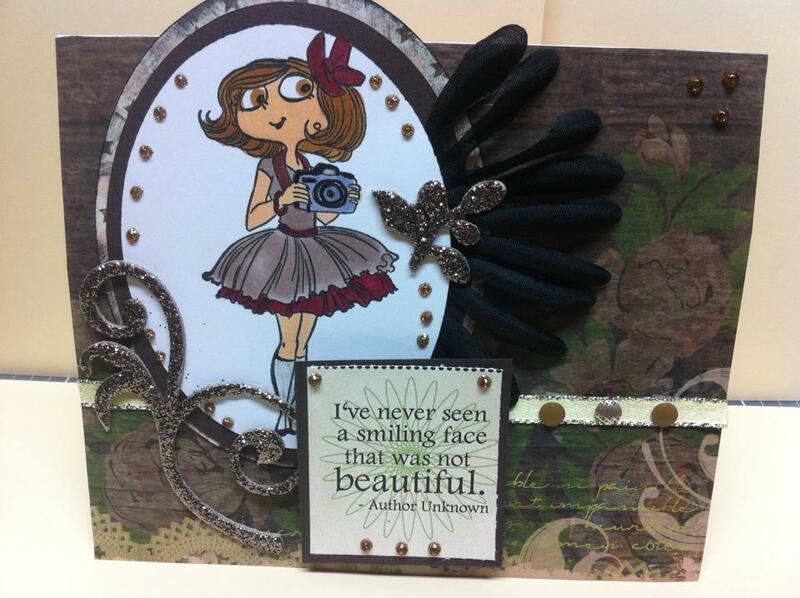 Kraftin Kimmie Stamps is hosting a Guest DT member. This month I am going to give it a try and submit my cards. 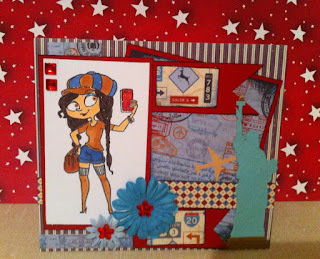 Here are my cards for submission for this wonderful contest. 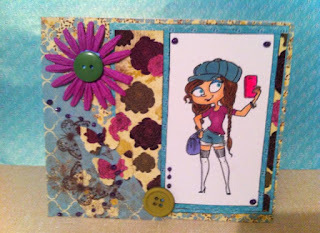 I made this card using the Kraftin Kimmie Stamps, 50s stamp sets by Moonlight Whispers. This is Judy. I attended the Katy Perry concert last year and this was a thank you card that I created for my nephew who gave us his box seats. Katy had green hair during her performance of the birthday song. This stamp was perfect for this Thank You card. 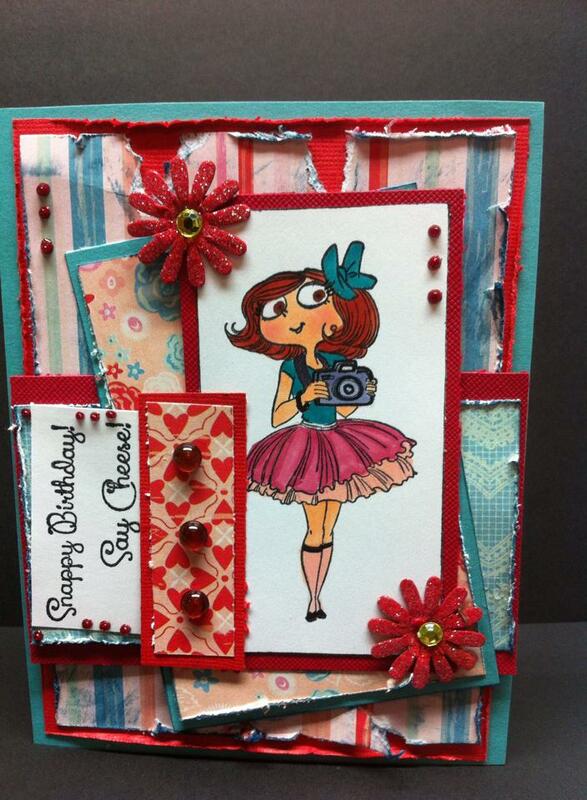 The patterned papers are from Bo Bunny's Lemonade stand collection 2014. 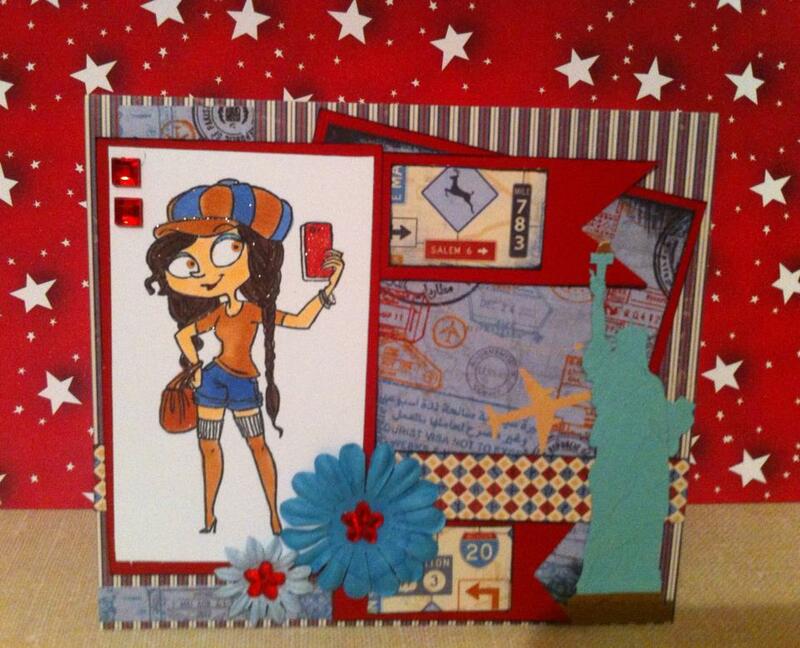 Here is the Selfie...The card is inspired by NYC. 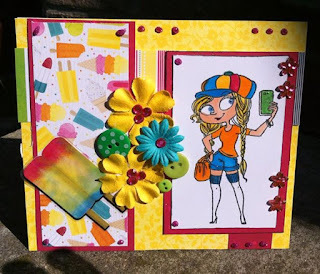 Another Bo Bunny Lemonade Stand 2014 patterned paper. 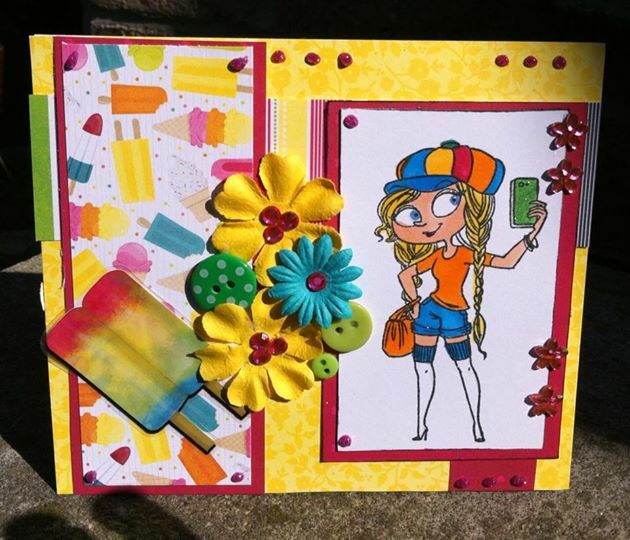 This Selfie card is summer inspired. More of a spring theme Selfie. OH SNAP! This cutie is sending a Happy Birthday. The sentiments are perfect, "Say Cheese." 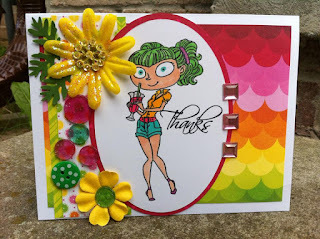 All stamps are by: Kraftin Kimmie Stamps. Moonlight Whispers is the Artist.